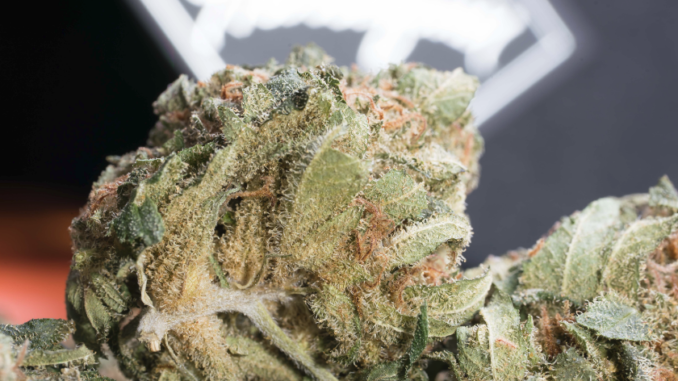 Tantalus Labs' Harlequin strain may of may not be named after a rugby team. We’ve got low stocks, high inventories, conflicting reports and blame flying around like broccoli in a food fight. What kind of oregano mids you tryna pass off on us here, buster?! Fundamental Hype goes deep on the cannabis supply crunch and how to play it. The Calgary Herald’s Bill Kaufmann filed a story February 1st that has the Cannabisphere buzzing about the supply problem being experienced at retail points of sale across the country, what’s causing it and how the industry is going to get Canada’s highly-touted advanced legal cannabis market some supply. Kaufmann says that this condition could last as long as three years. On line, there is a marked availability problem, but it’s hardly a crisis. 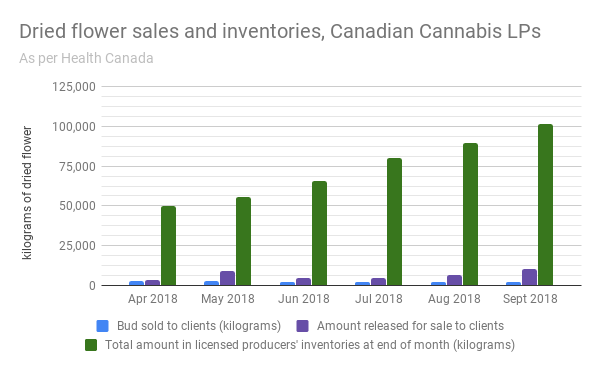 Our January retail look showed that Canadian LPs on the whole were able to stock about 70% of the individual SKUs they had listed in our provincial sample dispensaries. We haven’t finished our February product stock report yet (stay tuned), but a quick peek at the BC store showed 77% of the products in stock. The Newfoundland provincial online retail portal presently lists 74% of its products in-stock. 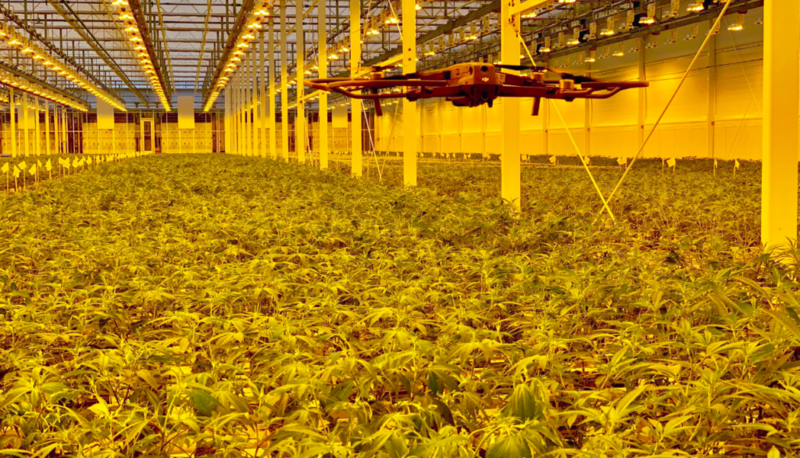 Image of a forest full of flower-heavy plants clipped from Supreme Cannabis Co. (TSX:FIRE) CEO John Flowler’s twitter header. So how come there’s no supply? But the that isn’t the case in Newfoundland, where reports earlier in the week (including from Global News and the CBC) had a private retail location going out of business for lack of product availability at the 7 licensed producers that the provincial government had licensed them to buy from. Kaufmann’s story quotes Chris Felgate of Alberta’s Small Town Buds describing the same sort of lack of availability that shut the Newfoundland store. Alberta has frozen retail licenses for lack of supply. The Province’s own on-line consumer portal lists 20/59 dried flower products in-stock. BC has yet to roll out any retail cannabis stores, and the Ontario lottery system for private retailers has sucked up enough press interest to make the supply problem the B story line. In the context of the provinces not having enough product to stock all of those stores, a choked off retail roll out makes lots of sense. Kaufmann’s lead had a Health Canada spokesperson making it crystal clear that, from their perspective, there is NO supply shortage. A 128,000 kgs December inventory number would max out the chart shown above, and the scale makes it tough to see what’s going on in the sale & released for sale column, so let’s get rid of it for a closer look. “Released for sale,” means that the product has been tested by an independent lab, and is ready to be released to the public. Lab testing is an interesting sector to look at as an investment, but judging by the released/sold spread back in September, it isn’t the source of this supply crunch. The Herald reports that HC sales total for December was 7,252 kilograms, which still wouldn’t be more than was released for sale in September, so we can’t lay it on the labs. Besides: nobody is trying to. But there’s no sense in having a problem without someone to blame for it, so let’s have a go. It’s popular to blame the government for most things, and fun besides. They’ve got big shoulders and big budgets, and besides: we pay their salaries! If these bureaucrats ever spent a day of their life in the real world running a business, they’d understand that all the red tape they put up is hamstringing the economy and… Whew. Sorry. Got a bit carried away there channeling my inner Brett Wilson. Guy never met something he couldn’t blame on those bastards up in Ottawa trying to steal his hard earned money! To Murray’s credit, she stands up to him, and asks why a country with 134 companies licensed to sell out of completed operations, some of which are enormous, there just isn’t enough bud. Brett doubles down on the licensing time reason by giving a brief explanation of the licensing process consisting of three steps, talks about how “it’s a scramble, they can’t build fast enough,” then goes on to a non-sequitor about competition from the black market… which shouldn’t have anything to do with supply coming from LPs, but Wilson has never been all that easy to follow. There is no reason to dispute the HC inventory figure itself. The licensed producers report their inventory weight to Health Canada monthly, Health Canada adds it all up, puts it on the website (after sending a circular to Postmedia newspapers). But the LPs don’t report those inventories to the public in kilograms, they report them in dollars, and not all inventory is created equally. The nature of horticulture is that the final yield and its quality, especially relative to the product coming from competitors, isn’t known until the crop is trimmed, dried, sorted and weighed up. Industry people call the final step of dried flower curation the “finishing stage” and one LP told us today that it’s both the most important part of the process, and a carefully guarded secret. 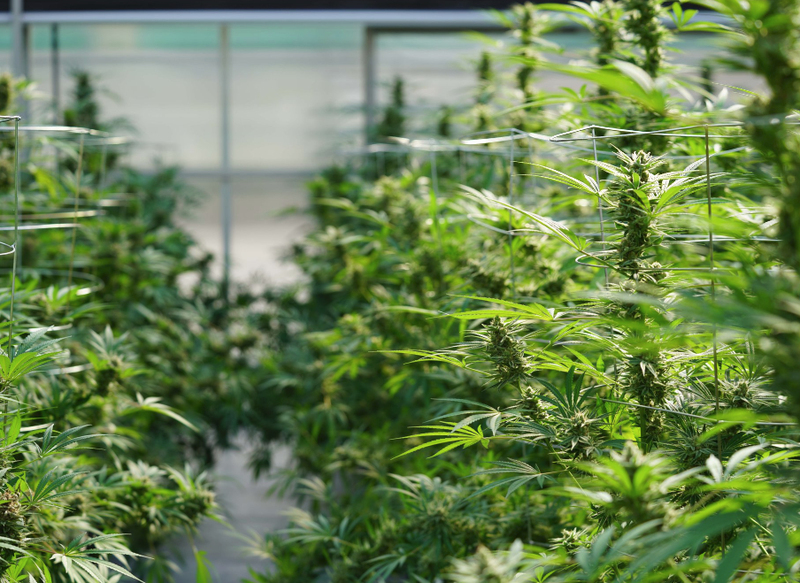 Two sources with high placement at two different LPs told Fundamental Hype independently that creating good bud with a fine smell and the right consistency is a time consuming process, both in terms of development and execution. Naturally, if the product coming in to the finishing process isn’t of a decent grade, the development can’t start and the tendency is to just get it dry and bag it up. Back on the ledger, bags of dope that come out of drying rooms are accounted for as a transfer from a company’s biological assets to inventory. They are carried on a balance sheet at an inventory value, and are destined to either become inventory from sales, or a write-down as waste. 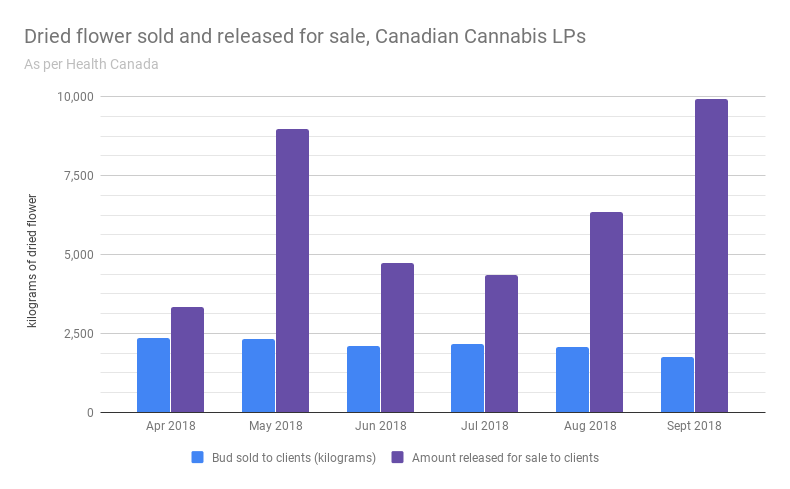 Health Canada is diligent about tracking weight, and vigilant about mold and pesticides, but they don’t make any comment on quality or marketability of these LP inventories. The product showing up on the R/Recpics sbreddit has been mixed to say the least. Some of the stuff coming out of name LPs has been downright embarrassing. It’s the type of stuff that one expects to receive from a supplier that’s down to the scraps, but doesn’t want the client to go somewhere else, not someone sitting on a ton of high grade. 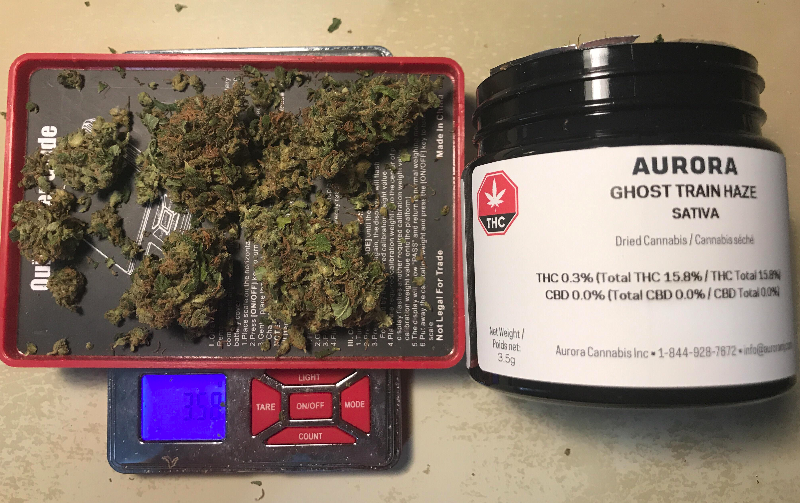 Picture of Aurora’s Ghost Train Haze courtesy r/recpics. When they aren’t blaming the government for supply shortages from atop a mountain of inventory, the LPs’ have been steadily beating a drum about the coming edibles and extracts markets, research into beverages and balms and all sorts of new ways to put back some green that we’re going to have in the Grand Cannabis Future. If, in fact, the inventories we’re choking on in the middle of an apparent supply problem are being stockpiled because it would be embarrassing to sell them as flower, the extracts and edibles market starts to sound less like an exciting market expansion and more like wishful thinking. The 800,000 square foot Aurora Sky facility monitors plant health with drones. (Picture courtesy Cam Battley’s twitter). Cannabis consumers aren’t all sophisticated heads, but they aren’t eighth graders on their way to the Pink Floyd laser light show, either (asking for a friend). They know what’s good, what smells nice, and what’s trash. r/recpics is full of great pictures and reviews of fine nugs coming out of different places, but the best looking and best reviewed orders have been from smaller LPs, or from smaller operations that were bought by larger LPS (Broken Coast, MedreLeaf). Readers are encouraged to search the subreddit for their favorite LP or its brand to get an idea of what the product looks like and what the consumer thinks. 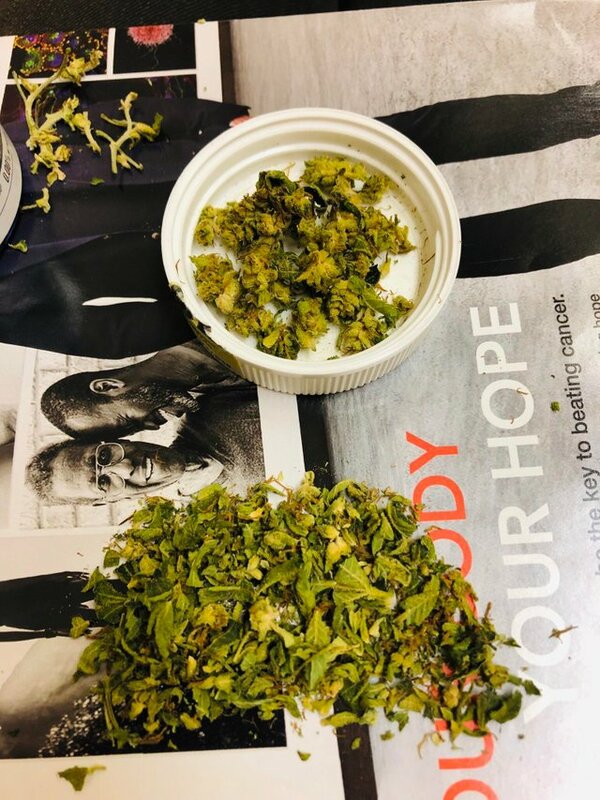 Picture of healthy plants taken from Tantalus Labs’ twitter. None of our contacts at the executive level of the larger LPs returned our calls by press time, and the sources at the smaller LPs didn’t want to comment directly on their operations, but one of them had quite a bit to say about what went in to his own. The two 20,000 sq/ft rooms that they run are each subject to tight, modern environmental monitoring. They put care and attention into creating a tight homeostasis, the specifics of which were arrived at by a process of trial and error. They closely monitor the irrigation and fertigation, and said that it took three or four cycles to get it all right. This executive also spoke about his labor pool, and the fact that while there are talented people coming out of horticultural and agricultural programs, there aren’t a great number of them. They also tend to be localized. The company has identified people without formal training who have a certain aptitude that makes them suitable for positions that allow them to learn quickly and become contributors. Pushed on weather or not that sort of data-based HR was scalable to mega operations, our source slowly declined comment. 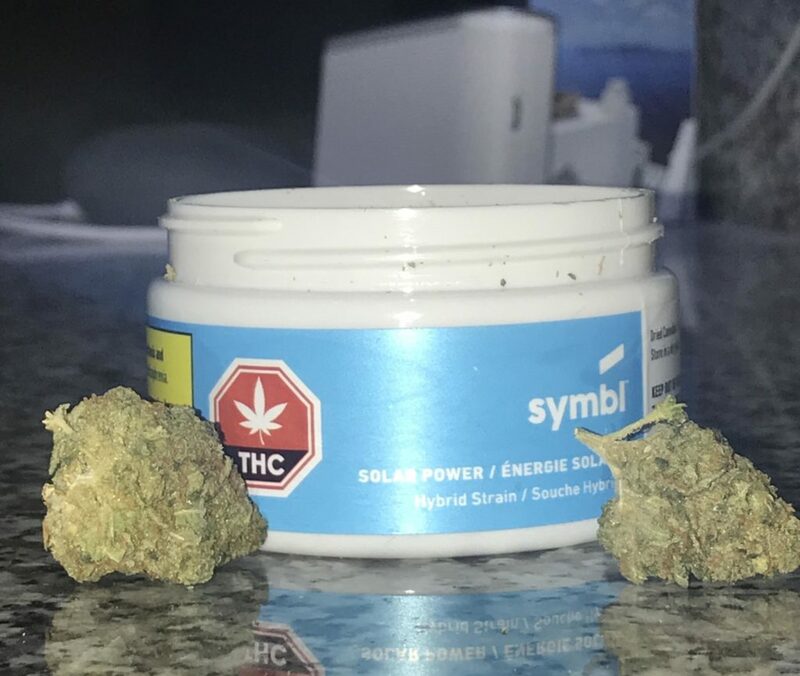 Picture of Emblem brand symbl’s “solar powered” product courtesy r/recpics. While Brett Wilson’s one note song is easy to make fun of (and he’s generally a good sport about it), it should be said that in a one dimensional way, he’s absolutely right. If there were more licenses, there would be more operating, talented cultivators and a better supply of quality bud for the market (more low grade, too). What he may not realize is that the restrictions they place on the right to cultivate cannabis is what makes these scarce licenses the type of thing he can back in the market and create a multi-billion dollar company out of. If the government gave out marijuana cultivation licenses the way they give out fishing licenses, the companies would look less like enormous startups ready to become super-enormous world-beating, recession-proof juggernauts of vice, and more like simple ag businesses; pumping out a product that rises and falls in price seasonally with a demand curve, and generally acts like a commodity. Likely, that’s where it will end up. But for now capital is betting on which of these companies will be part of that matured equities market. Our task as investors is to identify the outfits that can grow the most, best gear at a price that consumers will pay, and a consistent, decent margin. We’re going to take a look at how to tell the companies growing market grade product from the ones that aren’t soon on Fundamental Hype, so stay tuned.